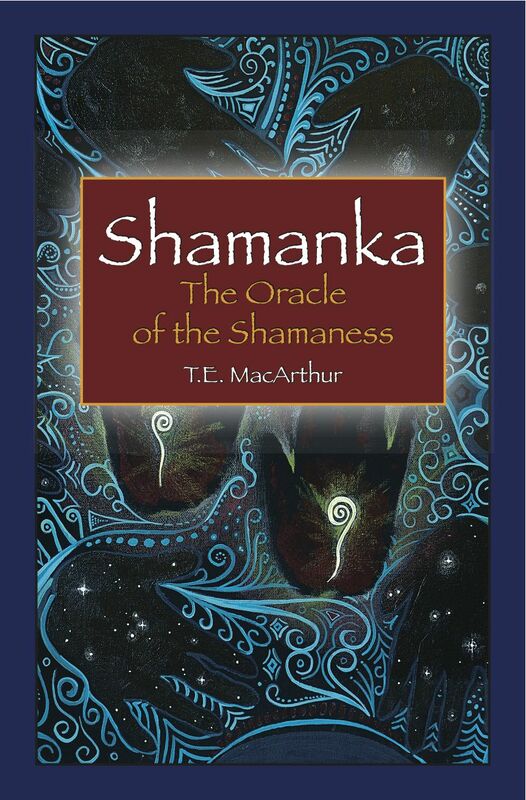 Shamanka is the first oracle deck based on the principals of Ancient Shamanism and Modern Divination. Created by T.E. MacArthur, this deck utilizes themes and inspiration from Mongolia, Tibet, Nepal, Siberia and the Pacific Northwest. MacArthur's beautiful, haunting art captures the essence of Shamanic working and interprets it through the cards. The book of Shamanka: Oracle of the Shamaness shows each card image and her explination of the card's meaning as well as her inspiration for creating this goregous work of spiritualism and art. T.E. MacArthur is a San Francisco Bay Area artist, author, performer and historian. She is a lecturer at PantheaCon and the San Francisco Bay Area Tarot Symposium, and a member of the Daughters of Divination. This item is the BOOK ONLY.